Suffered Injuries After a Serious Accident? 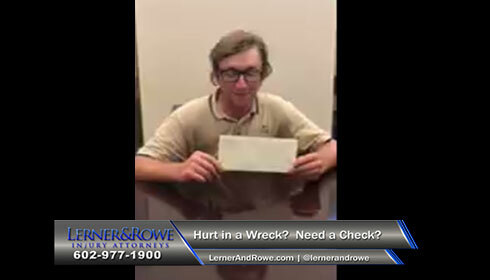 Contact Lerner and Rowe. You are not alone after a serious accident. As an accident survivor, you can seek out assistance from Arrowhead personal injury lawyers for help in holding another person accountable for their recklessness. Attorney Kevin Rowe and his knowledgeable team of Arizona personal injury and wrongful death lawyers are highly skilled and ready to help during this difficult time. 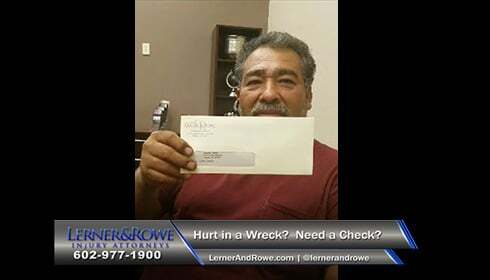 Over the last two years we settled over $100 million in personal injury claims to help the injured cover medical expenses, losses and other damages! Please call us at 602-977-1900 today for a free consultation to learn more about how we may be able to help you with your injury claim or lawsuit. Our Arrowhead personal injury attorneys represent a wide range of accident-injury cases. Every member of our legal team is committed to giving our clients the highest level of respect and aggressively pursuing justice on their behalf. Combined, we have over 100 years of litigation experience protecting the rights of personal injury victims. All of this means that each of our clients benefit from our teams invaluable knowledge and many established resources. And since negligent actions and oversights can occur anywhere and at anytime, our Arrowhead office in the Phoenix area can be reached 24/7. 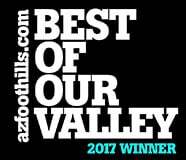 *Voted Best Personal Injury Law Firm in the Valley in AZ Foothill Magazine independent reader poll. Karin, Thank you for your follow up phone calls and keeping me updated. Thank you for your voicemails and friendly phone calls. Thank you Mr. Tyler for the referral to Aqua and working with them and us. 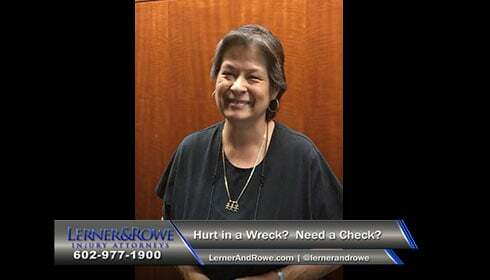 -Laura M.
This is my first experience (& hopefully last) with an accident attorney. Did not realize it would take over a year to resolve. Very satisfied with the results. - Joyce M.
Tyler Sorensen, Karin Carbajal and Pilar - we are happy with you guys. You did a good job! - Doug M.
Very friendly and professional team. -Donna M.
Click Here To Read More Great Reviews! 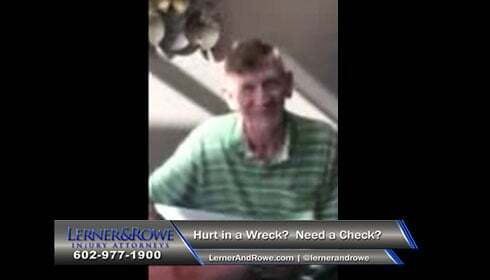 Click Here To See More Video Reviews! 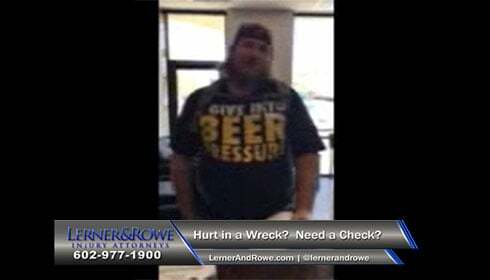 Our aggressive personal injury attorneys and legal team in Arrowhead can help you today. 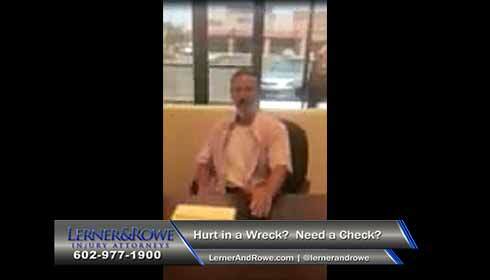 Can’t visit one of our Arrowhead personal injury offices in the Phoenix area? Don’t worry. We will come to you! Schedule a free, no obligation personal injury consultation with us 24/7. Just submit a FREE online case review form, chat with a live representative or call 602-977-1900. 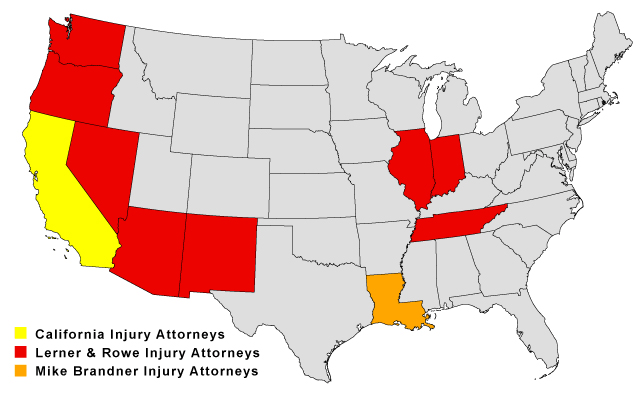 We are licensed to practice in the highlighted states below, however, we work with other law firms in almost all 50 states! See how the members of our law firm are giving back and supporting our local communities.